Sunday means its time for another awesome Sweet Sunday Sketch Challenge sketch! YAY! So stay in your jammies grab a cup of coffee and join in for some crafty fun :) That's my favorite way to craft - pajamas and a hot cup of something warm and yummy!! I just got a Keurig steamer machine so now I can skip out on the fancy coffee houses and make myself a fancy hot cup of deliciousness! Today's sketch is a simple awesome one that is full of possibilities! I love the little star and the room for sentiments anywhere on the sketch. 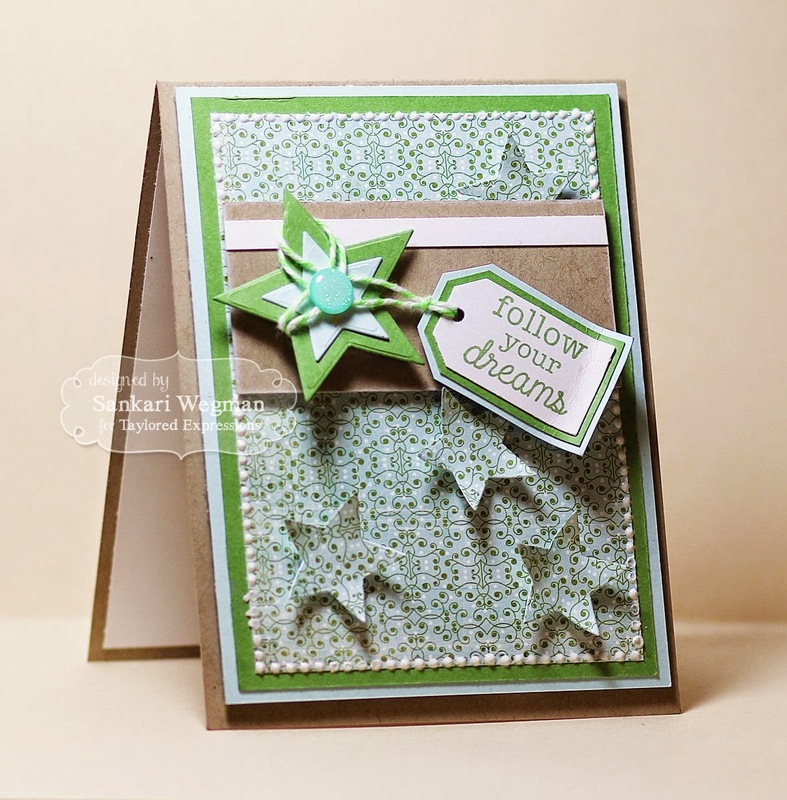 I chose to use the Shining Star stamp set - love all the encouraging sentiments in this set along with the Star Stacklets dies. this is awesome. 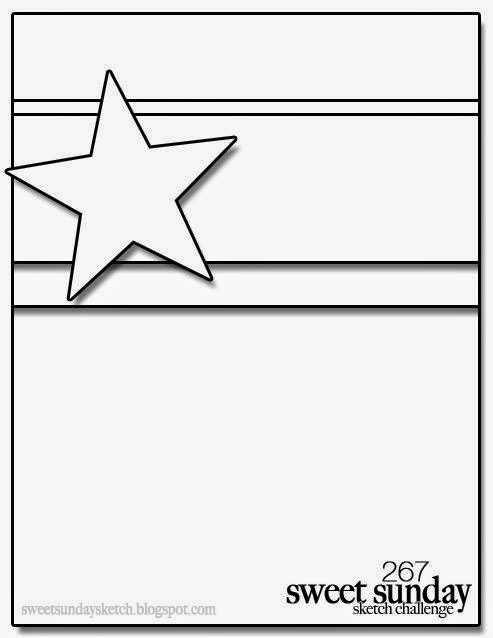 Love the added tag hanging from the star and what a great surprise those extra stars you added in the same pattern paper. so cool! Love this Sankari! All of your layers are truly amazing!